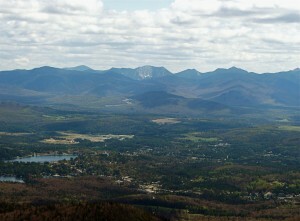 The current Comprehensive Plan was adopted by the Lake Placid Village Board and the North Elba Town Board in August of 2014. It was created over a 3 year period to replace the 1996 Comprehensive Plan. The Planning Committee examined the 1996 Plan along with numerous reports and studies. They also conducted interviews with many key informants and held 4 public forums. Based upon that research the Planning Commission identified three factors driving change in the Community. The average age of the community has risen dramatically as more and more retirees move into the area. This creates a need for the community to address different lifestyles and needs. Technology has advanced since the 1996 Comprehensive Plan was adopted creating new possibilities for more efficient operations. People in general have become more aware of the environment. This creates fundamental changes in behavior. The new Comprehensive plan was basically created to meet these new challenges. The document is the product of community volunteers. The Planning Commission created subcommittees to examine each of seven areas of development. Over 90 members of the community were involved. Committees submitted rough drafts to the Planning Commission who then edited and collated the reports with the help of Elan Consultants. The Consultants were paid through a New York State Department of Conservation grant program.